Ah, the pumpkin. The squash of a thousand uses. Wait, no, we’re thinking of the butternut. The pumpkin actually only has three uses. The first is to flavor literally every commercially available coffee drink for six weeks out of the year. The second is to be turned into pies, so that they may be set down next to other, better pies in order to make them look more appetizing. The third and most famous use for the pumpkin is to be made into jack-o'-lanterns, which it’s infinitely better suited for than the original produce we used to make jack-o'-lanterns out of -- the grape. You used to need a lot of patience and a very tiny knife. Outside of going to strangers’ houses and demanding unhealthy food, there is no more quintessential Halloween tradition that the jack-o'-lantern. What speaks of fall better than laying down some newspaper, plopping down a 10 pound vegetable, digging through seeds and slime, and then carving a goofy face for all to see from your porch? Haven’t we all felt the inevitable heartache that comes when time, squirrels, or vandalous teenagers ruin our beloved creations? But you know what they say: time flies. Come to think of it, squirrels also fly. Do teenagers fly too? We’ll get right back to you on that. 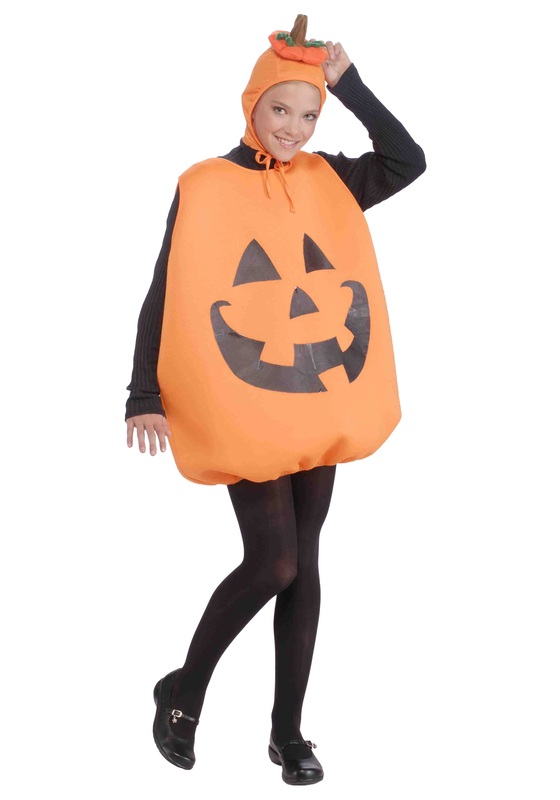 Our Jack O Lantern Costume lets you pay tribute to the most cherished symbol of fall. Cheerful and easy to wear, you’ll be a hit wherever you go in this happy ensemble. And don’t just wear it for Halloween either -- try it out at weddings, bar mitzvahs, even at court appearances!Everyone loves jack-o'-lanterns.